The Boston Bruins came into game 4 of the Stanley Cup Finals hoping some of their offensive explosion from game 3 would carry over. They got just that, blanking the Vancouver Canucks and winning game 4 by a score of 4-0, evening the Stanley Cup Finals at two games a piece. Both Stanley Cup Finalists are now just two games away from hoisting the cup. In a battle of the goaltenders, Boston's Tim Thomas has continued his stellar play, while in the other crease Roberto Luongo has looked human the last game and a half. Thomas turned out his third shutout of the post season, saving 38 of 38 shots fired his way. 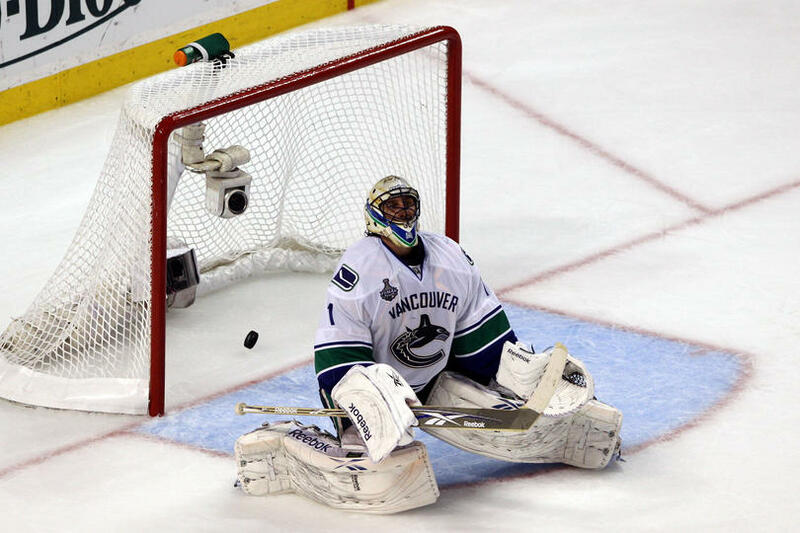 Luongo on the other hand stopped only 16 of 20 shots before being replaced by Cory Schneider in the third period. 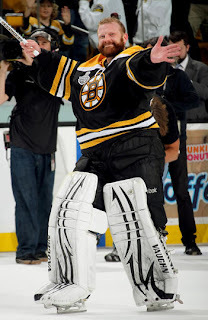 The Bruins continued their offensive onslaught of the Canucks midway through the first period when Rich Perverly got past the Canucks defense and beat Luongo on what some would say a soft five hole goal. Peverly getting the chance after Nathan Horton was injured last game leaving a spot on the first line, where Perverly flourished. Michael Ryder and Brad Marchand found the net just two minutes apart in the second period pouncing on a struggeling Luongo. However, Perverly would net his second of the game in the third period, which would result in Luongo being pulled and replaced by Boston College alumni Schneider. In order for the Canucks to rebound from their game 3 and 4 meltdowns they are going to need a better effort from their star players. Henrik Sedin registered his first shot of the series, yes the series, in game 4 twin brother Daniel has been equally ineffective. While Vezina candidate Luongo has looked shaky in the previous two games. Boston on the other hand has played with a drive that can't be matched, a catalyst which may have come in the form of an injured Nathan Horton. Since the Horton hit in game 3, the Bruins have outscored the Canucks 12-1, and outplayed them in every aspect of the game. The Canucks and Bruins take to the ice for game 5 in Vancouver on June 6th, where the Canucks will look to rebound from the pounding they endured over the last two games in Boston.